So you want to ensure faster growth to your weed by choosing effective grow tent? This Topolite grow tent review actually aims at highlighting the improved features of itself equipped with productive growth. Topolite is the highly recommended one for the weed grower to determine for its compact design and excellent performance. Indoor gardeners should quit their worries from now on related to gardening. Because odors, light factors, sizes along with other elements are equally prioritized in establishing your confidence in it. Wait for a while and soon you will come to know about the key factors that made it super selling to use. Of course, it is a brilliant way of judging a product by knowing its background well. Topolite manufacturers are promising in producing higher-grade hydroponic types of equipment in pocket-friendly price. Productive build quality is maintained strictly to ensure the stability of the grow tent. Apparently, they ensure the performance of the product level adding the required features and instruction. In addition, they always make a good response to the customer’s service by issuing chances for replacing any faulty materials or missing parts. So, the quality manufacture along with promising customer service made it highly recommended and number one product on the list in best recognition indeed. To make your gardening season reasonable to enjoy, TopoLite 48”×48”×80 should be the ideal choice. Excellent ventilation system and 96% light reflective effect made it appealing to all especially the beginners at indoor gardening. Well, the excellent exterior design covers the types of equipment with safety features. The sturdy fabric with a strong foundation of the solid frame made it durable to use. Safe zippers with no light leakage made it reliable to the user’s eye. Let’s look at the other quality features. Excellent 600D lightproof oxford cloth is keeping the thickness of the grow tent in a reasonable way. The strength of it ensures the safety of the plants from harmful pests. Again bad odors get no way to release within the tent for this high-grade density. Frame strength is a vital factor for any grow tent. 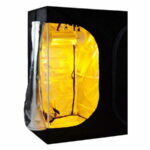 This Topolite grow tent features with 16MM white coated metal frame for ensuring durable metal corners. Eventually, it helps in eliminating the possibilities of the tent getting collapsed with the plants unnecessarily. Ultimately, it ensures the plants moderate growth. Plants get healthier by absorbing plenty of light inside the grow tent room. This unit features an excellent diamond Mylar film. Around 96% reflective light make it worthy to use for the faster growth of the weeds. Large heavy duty zipper is the innovative features of the manufacturers that issue no light leakage at all. The nylon zipper offers smooth operation. It is worth mentioning in stopping the area where it finds resistance. Topolite covers with a spill tray that is easily removable. After a throughout usage, spillages are very common to grow inside. To minimize your worries for cleaning up, this valuable feature is a welcome initiative of the manufacturers. Another praiseworthy addition of Topolite is multiple vents for providing supportive air circulation. Fresh air is needed inside the specific grow room for healthy and moderate growth of plants. Therefore the vents associated with fans and drawstrings can easily impress the indoor growers to use it once again. It seems a bit harder for any newcomers to set up the tent at the initial stage. The assembly instruction made that task easier to follow. Genuinely, it takes not much time to put it together. This helpful feature is praiseworthy enough to set up the tent following the step by step instructions. Excellent frame strength provides long-lasting durability. Plastic corners are easy to use. No light leakage is going to interrupt the plant’s moderate growth. Safe zipper meets the build quality. This is very reasonable in price. Simple assembly guide made the entire process easy to set up. Although easy to understand instruction is there. But some guideline about flaps and holes are missing. And a few customers complain about it. 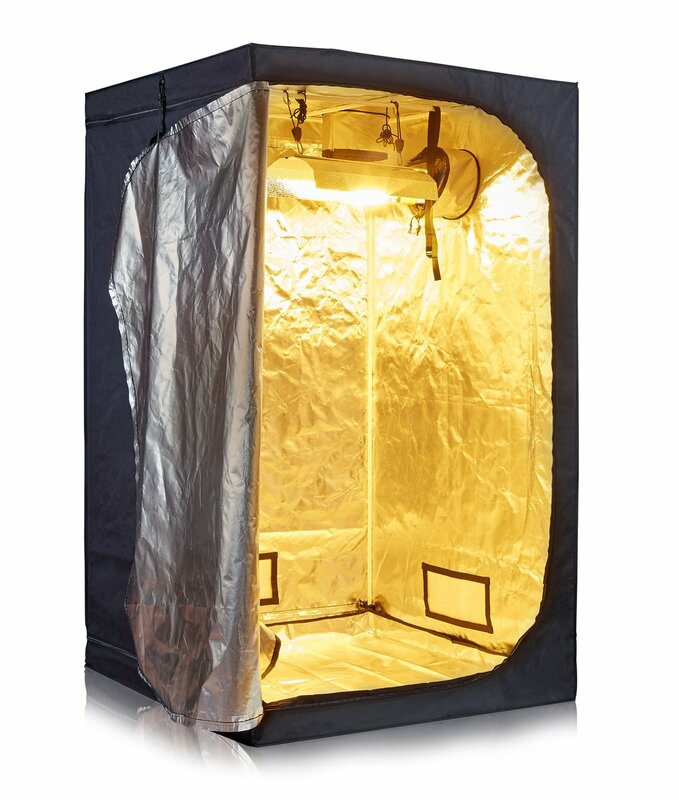 This grow tent has something unit to rule on the market place on the top list. 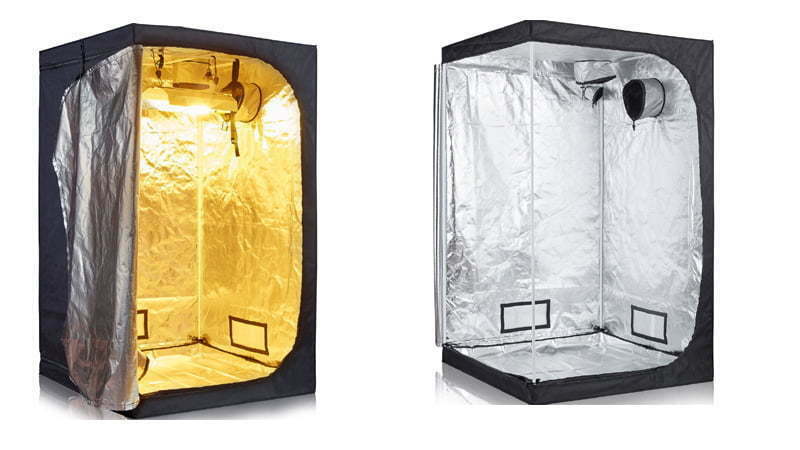 Below I mention some top-notch points to be noted in this review for the sky-touching popularity of Topolite hydroponic grow tent. The Topolite covers with excellent design and frame construction of 600D oxford cloth. Moreover, solid metal corners are well-supportive for being set up. Reflective lights distribute equal intensity of light over the plants. Air vents are good enough to pass fresh air much needed for the plants moderate growth. No matter what about the status of your growing area, a wide range of grows tents collections you will find in Topolite according to the space of it. Expected grow tent size will definitely match with the height of the plants matching with them. Light leaks are one of the fundamental problems of interrupted growth of plants. This may seriously lead to the maximum yield. Topolite manufactures some quality zipper to snap off this issue strictly. Although it has excellent build quality, wonderful customer service adds extra reliability in it. From most of the customer’s review, it was found to be dealt with the problems of the consumers. Any hydroponic indoor growing requires a suitable grow tent. And from that point, Topolite Grow tent review aims at establishing the key factors to know why this is so precious for you to purchase. A number of specific factors to be considered like durability, availability of size, easy to use features, air ventilation, etc. for choosing this grow tent. I hope you will ensure the best nourishment and favorable weather for your garden with your witty approach.